Les A. Schneider, the Managing Partner for Wimberly, Lawson, Steckel, Schneider & Stine, P.C., is an AV rated attorney, who is known throughout the Southeast for his comprehensive representation of employers, government entities, chambers of commerce, and trade organizations. Les is looked to as a standard bearer, providing advice to clients regarding all aspects of employment and traditional labor practice, including but not limited to, discrimination, wage and hour matters, union avoidance, and collective bargaining. In addition, clients often look to Les to negotiate and draft agreements, conduct internal investigations, respond to employee complaints, advise and partner on complicated discipline and discharge matters, create frameworks which foster healthy and productive labor relations, and prepare and represent clients in on-site audits. Les is widely known for his government affairs practice and protects his clients’ interests through state and local lobbying, legislative and regulatory impact analysis, and industry trend analysis. He has been an active lobbyist for over 25 years. Les has testified before the Georgia legislature regarding the effects of many bills. He worked with the Georgia Department of Labor Task Force on the revision of the Employment Security Law. He has contributed to revisions to Georgia’s workers’ compensation statutes and on regulations for the use of prisoner labor in private sector businesses. Les’ contributions extend beyond labor and employment law to education issues. He has consulted on amendments to Tuition Equalization Grant (TEG) rules and the codification of rules for Georgia’s HOPE scholarship. A sought-after speaker by business and academic groups, Les is valued for his ability to make labor and employment law issues fathomable and manageable. He also regularly speaks to law enforcement personnel and entrepreneurs on matters related to coin-operated amusement machines as a representative of the American Amusement Manufacturer’s Association (AAMA) and the Amusement and Music Operators Association (AMOA). In that same capacity, Les has helped draft legislation in Georgia, Alabama, Florida, South Carolina, and other states pertaining to the bona fide coin-operated amusement machine industry. Les writes as well as speaks: He is the co-author of both Wage and Hour Law: Compliance & Practice (West Publishing) and A Move Toward Equity: Taxing and Licensing Businesses and Occupations under Georgia Law (The University of Georgia). He is also a co-author along with senior principals Jim Wimberly and Marty Steckel on the book entitled Construction Industry Labor & Employment Law. A current member of the Commissioner’s Advisory Council for the Georgia Department of Labor, Les formerly served on the Georgia Boxing Commission, the Georgia General Assembly's Study Committee on Professional Tax Equity and the Board of Directors for the Horizon Theatre. 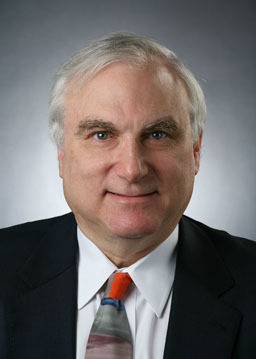 He is a graduate of Lehigh University and Emory University School of Law and a member of the American Bar Association, the Georgia Bar Association, and The Lawyers Club of Atlanta.